Be a User – Embrace new Tech! Discover the Joys Waiting For YOU! Progress and improvements in capabilities are expected in technology. In fact, I’ve told my own kids – “Buy the best tech you can afford/need at the best price you can find then don’t look back!” Soon a newer and shinier and faster and more capable thing will appear. It is the way it is. Once you do make the decision to make a tech purchase though it really can be a huge event that changes your entire look out on what you can achieve. Here is the most important thing I want you to take away from this blog post – read this much at least! New technology can bring you a fresh outlook on the use of technology. Trying to continue to use the old tech can make you frustrated! When you KNOW what is possible but you don’t have access to those tools has the potential to make a person frustrated. So…. dive in and talk to people that are using the new tech. Ask the important questions like can this really benefit me? Can this really make my life better? Can this really open up new possibilities? Is the new tech really going to actually be a game changer? Then…. become a user! Use the heck out of it! Ask people that know more than you for tips and trick! Read blogs, subscribe to twitter users, watch some YouTube videos. Actually become aware of just how the new technology can be used and what it can do for you! Spotlight is freak fast too! Having the ability to unlock the computer using the fingerprint sensor is cool. Having the ability to unlock the computer through an AppleWatch is Amazing! The TouchBar is a very handy way to work I HATE taking my hands off the keyboard while working on the laptop. The TouchBar gives me one more way to keep my hands on the keys, in addition to the the hundreds of keyboard shortcut that I use all the time. I love the fact that it SO much more useful than those Fn keys! The keyboard has remarkably changed since 2010! I had not realized how tactile I had become in my typing until I tried typing on the new keyboard. SIRI on my laptop totally rocks! Not sure exactly how many ways I can utilize it but I’m trying it every chance I get! 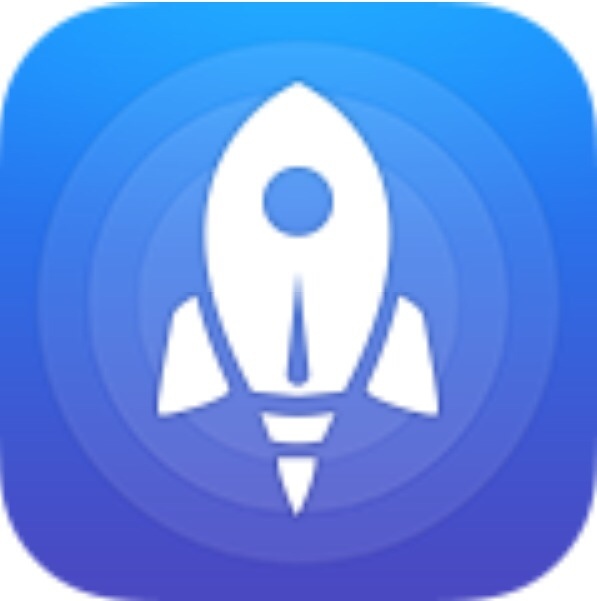 AirDrop is a game changer for those that have an iPhone/iPad and frequently start a project on those devices then change over to work on their laptops. Don’t worry DropBox and Box – you will still be used, just not nearly as critical now. AirPlay has always been awesome from my iPad during class time. Now my laptop does the same! At home it is really sweet to be able to AirPlay over to the TV. The fact that I have to buy a $40 dongle just to print at school is frustrating as all get out. BUT, is this Apple’s issue or my tech department? They will not open up the wireless network to allow printing. COME ON GUYS GET WITH THE TIMES! Dongles are now in my bag for ethernet and USB. Soon I will need two more – an USB-c to Thunderbolt and then a Thunderbolt 2 to Firewire. This will allow me to record via my 32 channel PreSonus mixer. Annoying and expensive but props to Apple for making sure that there is still a solution that “just works”. It is lighter and skinnier. Those few ounces make a difference. My backpack is noticeably lighter now! This trackPad with force touch is crazy! It is also HUGE. Every single music teacher should be given one of these by their school district. It should be a gift to the teacher upon day one of their hire! The Apple Pencil is very cool. Use that pencil with music notation or use it with an app like GoodNote that recognizes your handwriting and you will be astounded. It is LOUD – In fact I don’t always hook up speakers during class time when I want to play something quickly for the kids. Most days the sound system is hooked up and ready to go nut when it isn’t I simply turn the iPad up and hit play. Not a single kid has complained about “not hearing”. More complex scores like my High School band scores are totally readable on this thing. There is SO much more screen real estate that when using it as a musical instrument I don’t feel cramped. I do have big hands and this was an issue with the smaller iPads. The screen is beautiful – I love having my photos on this device! I love showing those photos to others because it is just such and amazing experience! I do still like using a bluetooth keyboard with it. I refuse to get Apple’s though. I don’t want the extra weight on it. It’s big but by itself I don’t mind the weight. With ANY of the available keyboards that are cases it becomes a huge nuisance though. I simply bought a Logitech keyboard and leave it sitting on my desk. When I am out and about I use the on screen keyboard and never really too much about it. Oh… and using this thing as a music production studio simply rocks! I do fully understand why some people get freaked out when they are first adapting to new technology. This keyboard on the MacBook is messing with my brain. After a week with it though I am retraining myself and getting along just fine. There is a learning curve though upon getting new tech – Please don’t let that stop you from jumping in and getting new tech! Take it one thing at a time though – even I have felt overwhelmed and have to remind myself that I can only do/learn so much at a time. So pick one or two things and go for it! I’ve walked out of my office two or three times every day this week with a big ol grin on my face and my daughter just looks at me and shakes her head because she knows it is a result of being a user of new tech. BUT, now My Daughter has the same look on her face and is now digging in to using my old laptop, which to her is brand new! She is doing projects that she could never have done before. Those projects will be a very visible part of the senior graduation and awards programs. When I look at her face I will see “that look” and I will knowingly smile because I will know what that look is from. As this blog is as much about me sharing my use of technology in education as it is to journal my journey with my technology, this post is to mark the end of an era…. Spring Breaks are always a great deal of fun for my family and myself. We always try to find someplace warm and fun. Warm beach is always great. The other thing I enjoy Spring Break for is the fact that we usually have our taxes back and I get a toy along with my kids sometimes too! This blog post will be the lat that I write on my trust 2010 MacBookPro. I’m not sure but I think this laptop pre-dates the start of this blog – I’d have to go look. It’s still a good laptop and it will be passed on down to my daughter as she heads off to college because for everything she needs it will probably carry her through the next four years! For me though I’ve been waiting for the right moment – as software advances on my laptop shows it age. I’ve not installed Sierra, although I could have as it is supported technically. Too many things would NOT have run though. The latest Logic update will sometimes run and sometimes not. I am going to be doing another summer where I am the video guy for two weeks at a music camp and even though I did pull it off last year I know I would be only thinking about how much faster a newer laptop could do all the editing! And other things too – it is slower than my three sons who have gotten MacBooks in the past couple of years and once I saw the speed with which they were able to do things I became a bit more unsatisfied. Plus as my phone and iPad was upgraded the speed I gained there made my 2010 seem even slower. If you have never looked into Apples refurb store you need to. I have constantly bought my hardware through them and have never had an issue. In fact this 2010 machine was a refurb. The other way I save money is to watch the sales at multiple websites and stores. For instance – if you have been thinking about buying an Apple Watch Series One – Target currently has them for about $80 off if you have a Red Card! That’s a nice savings! Best Buy also has many Open Box deals. That are well worth the money. As my family and I spent time traveling from Michigan to Florida and back I checked in every Best Buy to see what they had. This year I found nothing matching the deal I wanted and was a bit bummed. Then after we had driven all those miles back to Michigan my wife suggested we drive do a lot little bit of shopping after we got home today as we were earlier than we thought. So we jumped back in the car again and drove another hour to the next closest town with a Best Buy and a mall in it. I dropped the girls at the mall to shop for clothes and away I went. Upon peaking in the open box cage when I arrived I was pretty sure I’d found the deal I wanted but could not read the full label – I quickly found a guy who then found the “Apple Pro” with the keys. Lonnie opened the cage and sure enough it was the deal I wanted! I asked why it was so much off and he stated that there was currently a $100 sale on the new MacBooks which meant the Open Box deals went down as well. The discussion we had while I inspected the machine was a bit discouraging though – and this was the same sort of discussion as two previous sales reps in other state. In answer to my “Why is this being sold as an Open Box deal?” – their response was that they were seeing a high number of people return the new MacBook Pros with the touchBar. Several of the sales guys stated that most people were returning them for the older MacBook with all the “normal” ports and one guy said a few people were getting the Windows Surface computers instead. So now, I sit here waiting for files from this trust worthy and hardy friend of mine to copy over to an external hard drive so I can pass it on to my lovely daughter. She will be getting a once top of the line MacBook Pro that will serve her purposes for a few more years. This is one of the reasons I don’t mind putting out a couple grand for my laptops – longevity and the fact that there are few, if any, troubles I run into while using them – they simply work. PS – Because I opened up a Best Buy credit card I managed to save even more money – although this is in the shape of a Best Buy gift card that I will have to use to purchase more Best Buy items – BUT that counts! Yes, I am messing around with a new look of my blog. Trying to get a few things cleaner looking. Trying to get a few things featured. Hang tight, let me know what you think and give me ideas if you are so inclined! When we as musicians sit down to figure out and to study a piece of music there has usually been a bunch of paper, pencil and clicking going on. You hit play and start writing down which section is which, taking notes on where the main theme starts, when the chorus comes in, where to start adding, drums, strings, backup vocal….. and the list goes on and on until you have successfully marked up your paper all over the place in scratches and scrawls that you are lucky to read the next day. With the advent of technology there are more and more apps available every day to give us a hand in our never ending quest to learn that next tune. This app will help ANYONE who has to listen to a piece of music and analyze it. 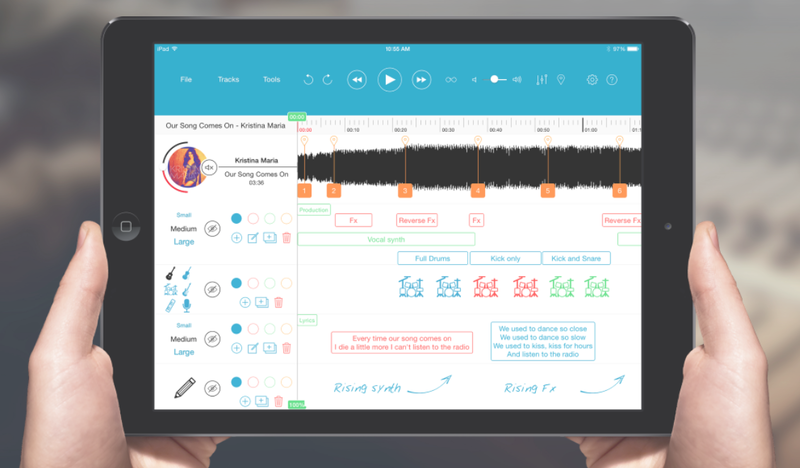 This app could be used by anyone from elementary age up through college and music professionals as well! Upon opening the app you will need to create a new project. Upon entering that project you will need to import your recording from the iTunes library or you can import from DropBox as well. If you are using iTunesMatch, as I am, you will obviously have to make sure you have actually downloaded the track from the cloud first form within iTunes. If you haven’t already downloaded the tune from the cloud first you will see that it is grayed out and you will not be able to select it. You can see that I have this very situation going on in the screenshot to the right. Once you imported your audio file you are then off to work! ADDING TEXT, SYMBOLS, and DRAWINGS: You will see the waveform below the timeline and the artwork with a nifty volume slider on the left along with a mute option – more on that later. At the top, in the blue toolbar are your transport controls as you would expect and then the options to start adding Text, Symbols, or Drawings to your project. The obvious choices would be that I am sure you will want to type in the form of the piece – Intro, Verse, Chorus along with where different instruments come in. At this point I am sure you will start to experience a few of the frustrations that I found in working with this app. It is easy enough to add in one item – you tap the Tools option in the blue menu bar, select Add Text and a new track of information is added below the waveform. the next step is obvious, tap the +, type in the text and there it is! You can even select which color or size it appears as. THEN…. if you are like me you add a few items and you start to realize that if you want to move things around/change colors or sizes… you MUST make sure to DESELECT the previous item! Otherwise you start to change items you did not want to change! In fact sometimes you move or change items that do not even appear to be selected. Once you have played around with the app for about ten minutes you will get the hang of adding, changing, deleting, and moving items around. HINT – Again, I can not stress this enough – save yourself some frustration when moving items around! Move the item, edit the color, size and placement THEN TAP IT AGAIN TO DESELECT IT! A nice feature when wanting to add a number of items at the same spot is that if you drag an item downward the track will expand, as you can see to the left where I have 3-4 things stacked up. Another nifty feature when adding Symbols is that you can simply make sure the correct Symbol is already selected, then tap on the timeline wherever you want to add that symbol – skipping the process of tapping the + and making sure the playhead is in the correct spot. This allows you to add for instance a number of Symbols throughout the entire track all at once. DRAWINGS: as for adding drawings… this is a nifty feature to have, just don’t expect a large drawing space with lots of tools – think basic and you will not be disappointed. NAVIGATING and EXTRA TOOLS: About now I am sure you will have decided to see how easy it is to move around in your track. If you want to jump to a specific spot in the waveform, like at the 3 minute mark then simply tap there, even while the track is playing. Of course if the track is playing at the one minute mark and you try scrolling to the five mark, putting the playhead out of view, the screen will frustratingly jump back to the playhead – so simply tap the stop button, move to the spot you want. It would be nice if they gave you a few more seconds before the screen jumped back to center the playhead. In the blue toolbar there are some nice features along with a few annoyances. Let’s take a look at these…. LOOPING and MARKERS – If you tap the infinity icon (the sideways 8) you will get a message that the “Loop markers are not set”. Setting loop markers is easy – simply double tap the waveform where you want the first marker and then double tap where you want the second marker. There is still one more step to getting a loop going though you must press and hold on the loop marker number. This will turn the marker blue (Warning, until you actually lift your finger you will not be able to tell that the marker has become blue because the top stays orange – hopefully the developer fixes this). Long press on two markers and now you have a loop going! If you tap the Location icon you will be able to edit the markers a bit – you are able to delete them or hide them. 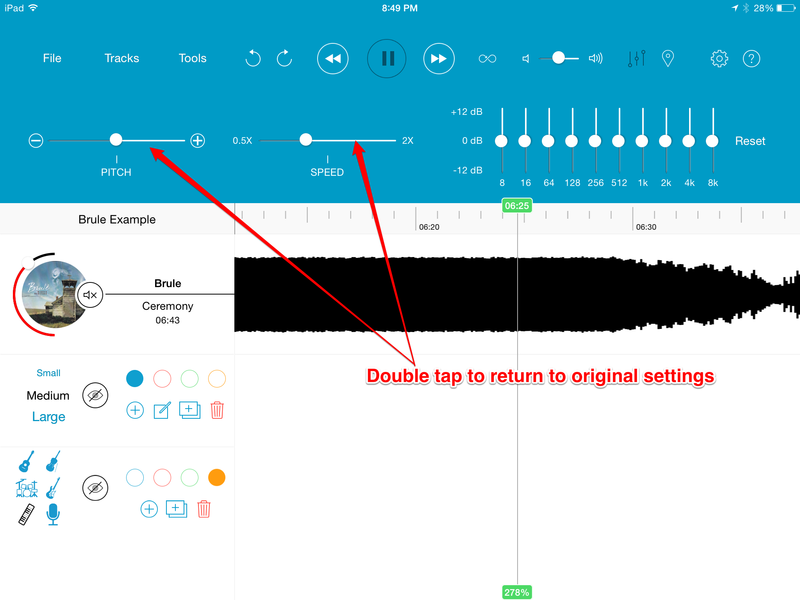 EQ, PITCH and SPEED OPTIONS – If you tap the Slider icon you will see that you have options for adjusting the Pitch, Speed and EQ of the piece. Quite frankly, as far as I am concerned these are not much help. when you adjust the Pitch for instance, the speed changes. When you adjust the Speed then the pitch changes. If you try to tap the – or + icons on the Pitch options they just simply do nothing. Do be aware that it is simple to mess with these options and then reset them – although unless you read the manual, you will probably never figure it out – simply double tap to return to original settings. I am also very unsure about why the original setting for Speed is not in the center. It is even possible to add in more than one piece of music into the same project. I am not sure why but that feature is there. When you do add a second piece of music you will want to use that mute button on the album art of the first piece – otherwise you end up listening to two pieces of music at once! The playhead centering itself constantly is annoying! In fact – just save yourself a bunch of frustration – make sure the playhead is near where you wish to edit, add, and annotate things at! The Rewind button and the FastForward button do not work at all. This in conjunction with the playhead issue is very frustrating after working your way through a piece of music. The solution is to zoom all the way out, tap the timeline at the beginning OR you can tap the timeline at the far left until you make your way back to the start. What good is all of this work if you have others to share this with and can not get your information out of your iPad and into their hands? The Export PDF feature gives you a PDF that you can pass along to others. I have included my simple project – Notetracks_Brule Example. I did not finish this one but just used it as an example for you to check out. You can see that it comes in as one ridiculously long PDF page from left to right. You will have to zoom WAY in but after zooming in this is quite useable! HINT – When exporting your PDF you MUST make sure to have the track zoomed in enough to be able to read all of them text boxes. NoteTracks DOES NOT do this for you. If you are zoomed out and your boxes are all squished up, the PDF will look exactly the same! There is also a Copy Text option as well allowing you to take all of your text notes and paste them into an email, text app or whatever. This feature of course would be much more useful if there was a way to figure out where in the timeline each note had been placed. This app is NOT meant to learn a piece of music by ear, giving you tools like slowing the tempo of the music down but keeping the pitch intact. See Part Two of my Music Study Apps for a tool for THIS sort! Notetracks is going to prove to be invaluable when trying to figure out the form of a tune, taking notes while listening to it, and then sharing that information with others! I look forward to where this app will go in the future. There are a few issues with what it offers as is but the features that work are very helpful to any musician who has take notes and annotate a piece of music! I have to do this sort of annotation constantly with my electronic group as we are performing arrangements of every single piece we perform. Not many people write for our instrumentation. NoteTracks is the perfect fit for us in this sort of situation! Are you a Marching Band Director with an iPad? Well then you are probably working through much of the same preparation as I am. How does my iPad help me in all of this craziness? In the prep of the drill I have my iPad on the entire time even though I am writing drill in Pyware 3D. On the iPad I use UnRealBook or ForScore or possibly even GigBook to display my music. I also use the annotation tools in those apps to write on top of my music all of the drill chart pages and instructions. I can not imagine going back to paper music and having to write al of this in, copying the scores, inserting into sheet protectors, using three ring binders and then just waiting for that rain to wreck it all! I have a new app that I think is going to be amazing this year – DrillBook Next is $9.99 for the Directors version of the app that I just discovered this year. After creating the drill in P3D I then simply export performer coordinate sheets which I then import into DrillBook Next – giving me my entire drill in interactive format on my iPad! The only thing missing here is being able to watch my drill and have it synced to music. After talking to Scott – the developer – though, I fully understand the copyright issues this would cause with the way access to the drill works. I have not convinced myself to go iPad on this front while creating and editing my musical notation files yet. I have ordered my Notion5 though for desktop and am committing to digging in and learning Notion this year. I mean, come on! 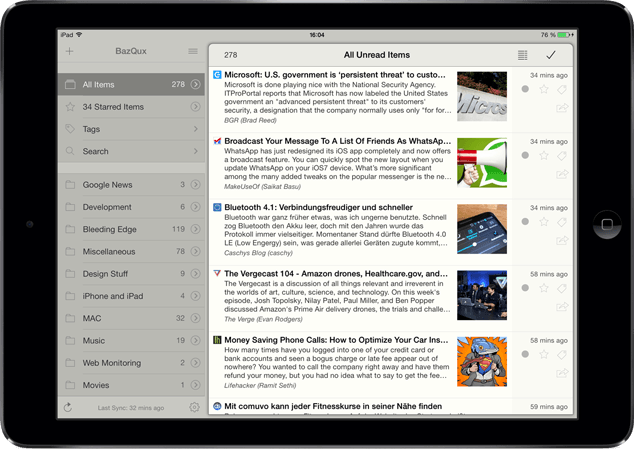 There is a full fledged desktop AND iPad app available for Notion! Yes, I could work with NoteFlight but Notions excellent sound have won me over! Currently my workflow is to create and edit in Sibelius then export to Avid Scorch. I also export PDF files to use in ForScore or UnRealBook. I will say that when I use Scorch I find one extra step is needed to make great use of the size of the iPad. If I just open the full score there is always too much info on the screen. On the desktop I simply focus on select staves and all is well. In fact if you save your Sibelius file with it focused on those select staves then when you email it to yourself and open it in Scorch it will stay focused! My problem is that I want to also have a DrumLine condensed score I can jump back and forth between. Well…. here’s your Sibelius Tip of the week – I wrote this Blog Post back in Aug 2012 and I use it all the time because of dumping scores over to the iPad. This Blog Post will show you how to set up condensed scores so that they are just a tap away, just like you can quickly jump to any other part in the score. Of course I also have to have a metronome app while arranging music – I find that I have used Tempo the most of all my metronome apps. It works on my iPad as well as my iPhone. It looks great on both. This is not a metronome designed for the iPhone that I have to use in 2x mode, it was designed for both devices screen sizes. CLICK TRACK CREATION – For each of my marching show pieces I always add in a click track at least for an intro measure. That way we are not guessing when the recording is going to start as we rehearse. In order to do that GarageBand works fine. MultiTrack DAW or Cubasis would work too. The process is simple – Import the recording, create another track with drums in it and record a few measures of you tapping along to the recording. Move that audio to the beginning and export the new file. 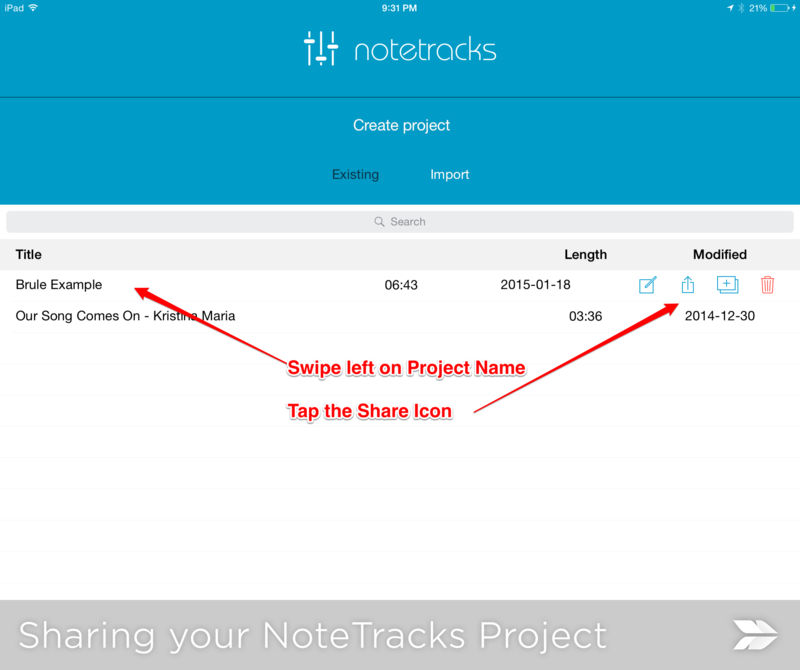 Remember – These apps would also give you an excellent way to record your groups for evaluation later! UnRealBook and ForScore allow you to record rehearsals (or whatever) while you are viewing your PDF music even! REHEARSAL with those recordings – One of my essential apps for marching band rehearsal is AnyTune Pro+. We use this app constantly all season long so we can rehearse our marching skills to a recording of the show. 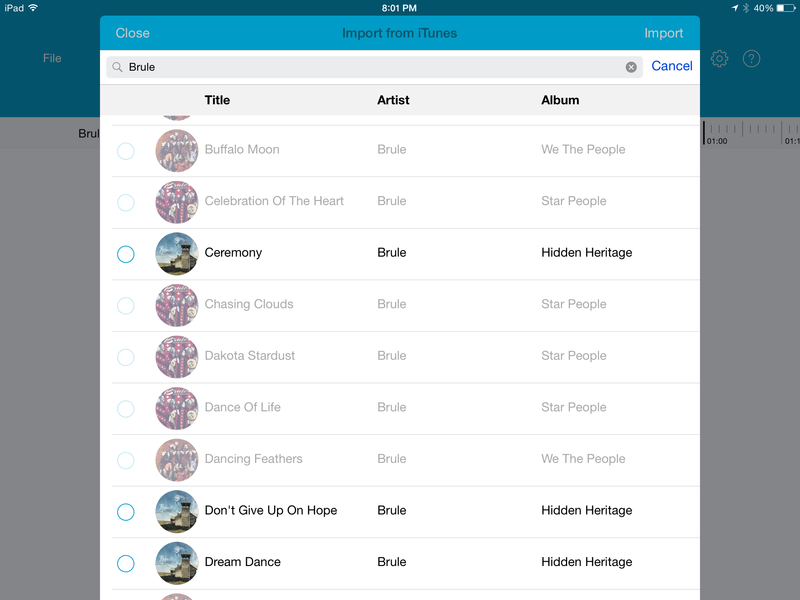 AnyTune Pro+ allows us to set book marks so we can quickly jump to any place in the song we want. We can slow the music down and we can even loop a section if we want to go through it a few times. In fact, if you are only going to by one app this fall this just might be your best choice! I of course use my iTunes app and library to play music for the students over AirPlay – AirServer App works wonders for not having to have wires connected! I have also started using Spotify. On the iPad it is amazing the music you have available at your fingertips FOR FREE! There is so much educational music on there it astounds me – soloists for all instruments, classical, jazz, brass band, pop and whatever else you want. I use FileMaker on my desktop and iPad all the time. I have created databases in FM that save me a ton of time every year. Want a roster of my class, tap that button. Oh, you want it sorted by instrument? No problem. What about if you want a list of your band sorted by gender but then also broken down by grade level and then sorted by last name? Every year you have to order shoes? Not a problem, here is the list…. same with shirts…. and by the way I grouped the kids names by size of course! The drawback to FileMaker is that you have to create the database on the desktop FIRST! Then it can all be transferred and worked with on an iPad or iPhone. Of course if you have a friend that has designed a database maybe they would be nice enough to share! But seriously, go buy a database and STOP USING SPREADSHEETS! There are a few very useful sample databases that come with the download of the free iOS FM13 App. The real fun is when you can edit those to make them work in ways to benefit you and your program. We also use DropBox to store all of the registration and medical forms for all the kids. They send it to us, we scan it and upload it to DropBox. From there my entire staff has access to important information. DROPBOX TIP – We will also make sure to download those files to our devices so we can have access when there is no network at camp, on trips or God forbid in the hospital. I try really hard to keep my blog up to date on wordpress by using Blogsy. Blogsy is heads and tales better then the WordPress App. When my students are blogging I suggest they use the WordPress app because it is free and it does actually work (most of the time). I also have a band Twitter, FaceBook and YouTube. The Apple Calendar app is basic as is the Reminders app. The benefit to using those two apps is that I use SIRI to interact with my schedule all the time. When I actually need to open an app though I use Calendars 5 or Fantastical – a huge step up from the other apps! I thought it might be good to post my reply here. I’m sure there are plenty of you that could chime in with some amazing ideas, so please add to the comments! If you have enough iPads for 1:1 usage then using the iPads as digital music is one option that jumps out at me as being an awesome resource. That’s the first and foremost reason I purchased my iPad. I think having 1:1 iPad’s in the band rehearsal would just be a blast! There are some amazing apps to use for this. Another option is to use the iPads for an app like SmartMusic. Gives you an ultimate easy ways to get a chance to collect a ton of recordings and assessments on your students with a easy way to send them feedback. This is the most amazing tool I’ve found for testing and assessing students to give them feedback quickly. to allow parents to be in the loop, and to help collect data to prove progress throughout the year. SmartMusic is a subscription based app and is well worth the price IF you select some of your repertoire from their library of available titles. the fact that this is available on the iPad now is just astounding! SmartMusic app – this is the main app. 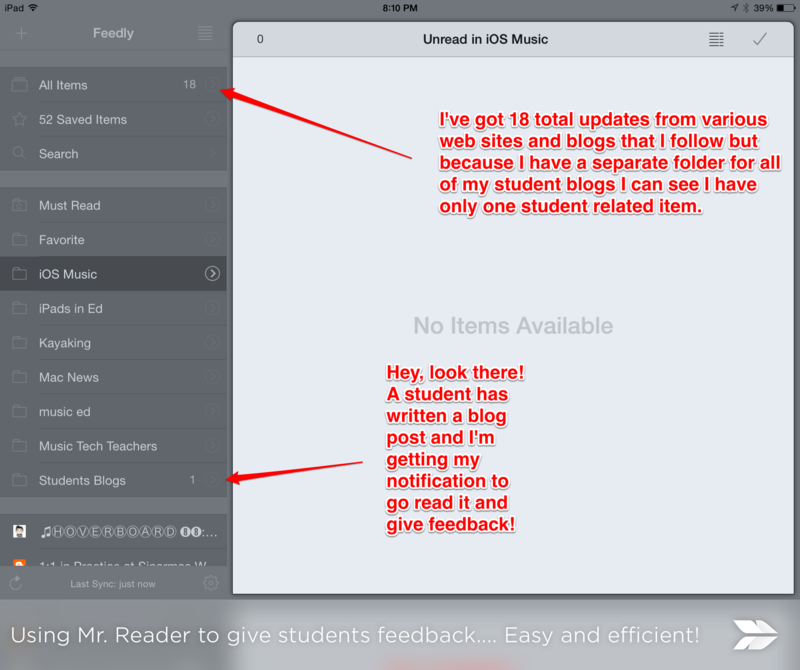 Then when it is time to grade the kids you can use their SmartMusic Inbox app. 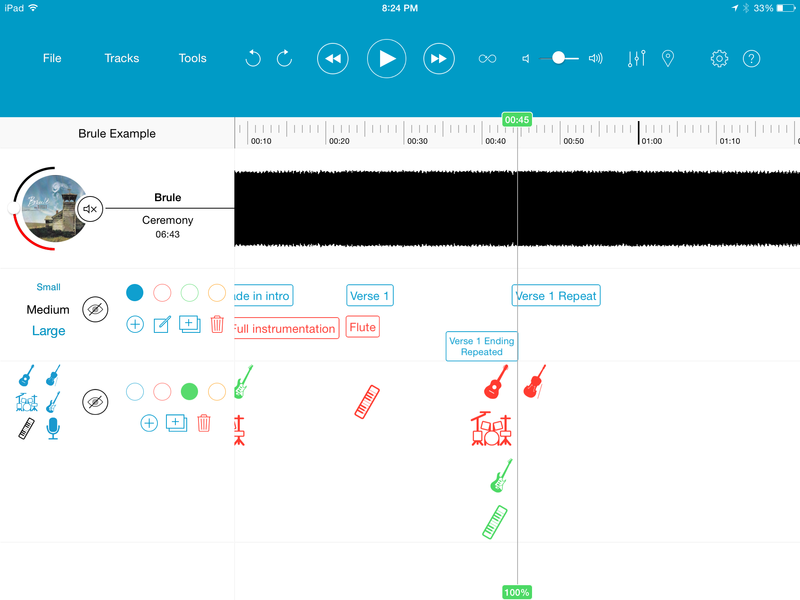 What about using apps to teach and drill the students on music theory skills? 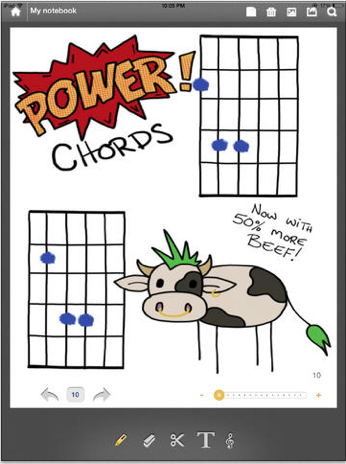 Use apps to have the students compose a short melody – one per week is very doable. Sonja (Free) or Notion ($14.99) or SymphonyPro ($9.99) to have the kids do composition exercises. Have the students practice sight reading rhythms. Even if they have to do this in small groups. It is really easy to do ear training practice and have them turn in screen shots to track their progress. Again even if they are doing this in small groups with headphones and 2-3 way splitters. Use EarBeaterLITE (Free) or the Full Version EarBeater ($7.99) for ear training practice and have them turn in screen shots to track their progress. Again even if they are doing this in small groups with headphones and 2-3 way splitters. Using iPads to check your students on how well they have picked up on skills taught in class is a ton of fun, gives you a quick and easy way to find out who is doing well or who needs more help and what points need to be retaught. FreshGrade is a very interesting online grade book that I have been playing with this past two months. It allows me, or the students, to upload their assignments in a variety of formats into our online grade book. They can do this themselves or I can use the teacher capture app or the website to do this myself. The parents have access as well to their students grade book. I am loving the fact that the possibilities to this are looking very nice for us music teachers who need to be able to collect examples of our students work that does not translate into a simple number very well. I have the students take a snapshot of their composition and upload it, we take a video of them performing their solo and upload it, or they could just simply record an audio file of their scales for me to grade. The fact that they can do the uploading them selves is amazing – saves me a TON of time! The fact that Mom and Dad can jump online to see the progress they are making is essential – play allows me to send instant communication to parents about their students as well! Have the kids build presentations on composers or music history or anything. Then you can use Airplay for the kids to present to the class. Students could listen to rehearsal recordings you have uploaded to the class SoundCloud…. Then they can make comments on what went well or not so well. PLEASE, PLEASE, PLEASE…. leave me some comments below about other possibilities you see! One of the reasons I bought an iPad was to keep myself organized as a teacher. It is easy to see the possibilities of using the iPad to keep all that stuff in one spot! Of course finding apps that harness those possibilities is a bit different. Just today I went searching for a document that my principal sent me and I then proceeded to “file” away, where I would not loose it. I never did find it – after looking on/in Google Docs, DropBox, Box, PDF Expert, my laptop, my desktop and a few other spots. You MUST have a system for WHERE to put all that stuff even when it is all inside your iPad (or the cloud). 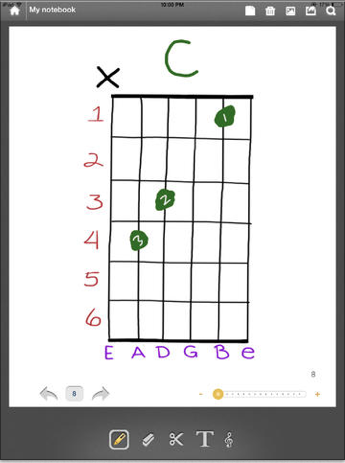 Thanks to a Sandra, a reader of this blog, I’ve found a great app for those who teach guitar or take guitar lessons! Ryan Lendt is a guitar teacher out in the Bay Area. Ryan’s musical upbringing is very similar to many of our students in our music classes – he got an instrument and became enthralled with it, practicing many hours! Then he discovered a new instrument, guitar, and took traditional guitar lessons. What better way to get better right? Well, he soon discovered that learning Hot Cross Buns was NOT what he REALLY wanted to learn so he formed a band and started making music with friends! They started performing and they loved it! 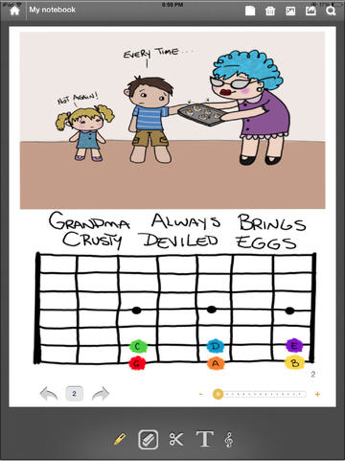 Ryan developed an app to help keep himself organized, it is called Guitar Notes. It is an app that contains materials he uses in every lesson – 43 lesson pages, blank tab and chord chart paper along with the capability to bring in screen shots and the best part of all – he can share the materials he works on in the lesson with his students afterwards. The concept is brilliant – Ryan gets a new student so he opens his app and starts a new book. Then you start creating new pages in his book, you can add pages from the 43 lesson pages (things like charts telling the names of the strings, a piano keyboard or a blank chord diagram), and then you can annotate on top of those pages. Of course you can start with just a blank page and type or draw on that as well. If you search a website to find a chord chart you can take a screenshot and bring that into the book as well. There is no more trying to find that worksheet in the file cabinet drawer and then trying to print it off. No more do you have to try to remember what each kid was working on. No more do you have to HOPE that your student brings last weeks materials back to their next lesson because it’s all inside of their iPad inside of Guitar Notes! Simple and brilliant! Plus it’s $0.99! What is their to think about here?